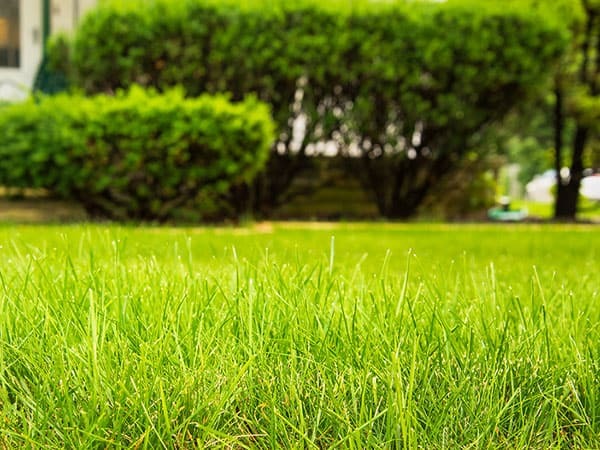 Count on lawn fertilization services by Flatliners Pest Control for lush green lawns in the Las Vegas desert landscape. You know us for our stellar pest control services. Did you know we also provide convenient, effective, lawn fertilization options? Let us help keep your curb appeal high and stop those outdoor pests from causing any damage. How you feel about your home starts the minute you pull up to the curb. Dead grass, dying aloe plants, and wilting shrubs all make an impression on you and anyone else pulling up the driveway or walking up to your front door. Unfortunately, planting these beautiful and interesting species is the easy part. Knowing how and when to nourish them can be tricky. That’s where our professional lawn fertilization services come in. Nobody wants to spend their day off in the sweltering Las Vegas sun trying to decipher proper lawn fertilization. You have to figure out soil quality, and fertilizer nutrients like nitrogen, phosphate, and potassium for each plant. Then, you have to figure out when to do it all again. Why not leave the fertilizer service to us and never have to think about it again? Our lawn fertilization service is customized to meet the needs of your yard. Contact us at Flatliners Pest Control today for lawn fertilization in Las Vegas. Stop thinking about your lawn care and start enjoying it again. Increase your curb appeal and make a great first impression on visitors and neighbors. Keep the HOA guy away and your beautiful landscape healthy and growing.